Most frequently asked question in the Rif mountains: "Wanna buy some kif?" 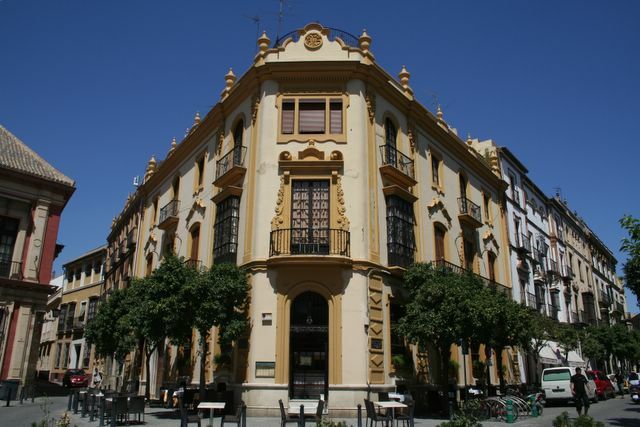 Highest recorded temperature: 41 degrees (106 Fahrenheit) in Seville at 5 pm. After almost two months of traipsing through Europe, we have at last arrived in Africa and are set to begin the second leg of our journey under the scorching Moroccan sun. Chefchaouen with its bustling market, laid-back cafés and picturesque campsite overlooking the town has got a hold on us and, as many travelers before us, we'll surely end up spending far longer than planned here. 'No' our reluctance to move on has nothing to do with the widely-available Kif (marijuana) that is so freely indulged in here. With his long hair, Eric is a constant target for casual dealers and one determined gentleman even tried hard to convince Amaya of Kif's ability to improve cycling performance and diminish the ill-effects of the heat--well, we'll never know if those claims have any substance. Chefchaouen grew to fame in the 70s as hippies flocked there to chill-out and partake in the illicit drugs. The town has cleaned up its image and nowadays it attracts middle-class French families, young European backpackers and the occasional Moroccan tourist thrown in for good measure. But we're getting ahead of ourselves. 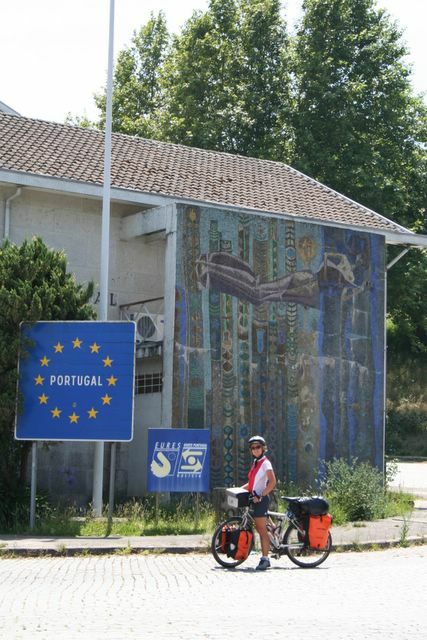 In early July we crossed the Portuguese border and then headed straight to the Atlantic coast and, for the following two weeks, never strayed more than 15 kilometers from the ocean and its refreshing breeze. 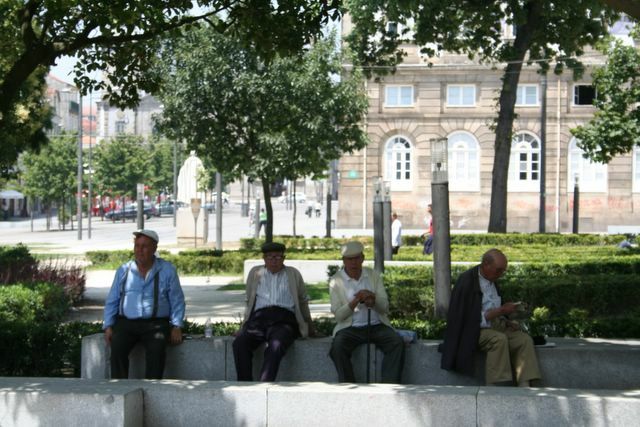 The first thing that struck us about the land of Fado and Fatima was the ubiquitous cobblestones. They're lovely in pedestrian zones, but the bumpty-bump quickly becomes tiresome when you're cycling over them for kilometers on end. For some odd reason (financial perhaps) paved roads haven't caught on in some parts of the country and cyclists are doomed to either risk life and limb on the highways or suffer a bone-jarring ride on the backroads. We chose the later. We found the Portuguese to be very hospitable people and even more so in the less-touristic north. 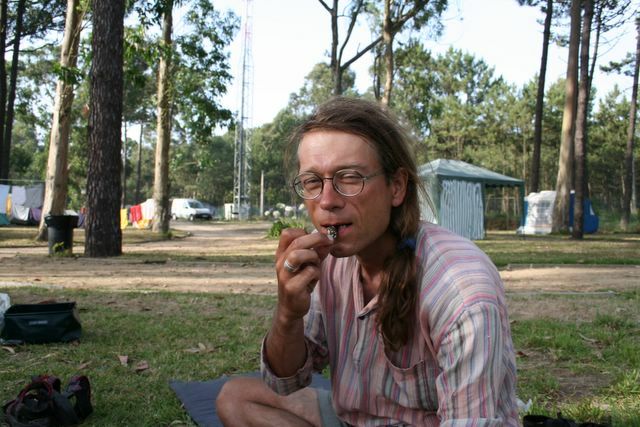 On our first evening a couple in the adjoining campsite timidly approached us with a dish of steaming shellfish. The woman had surely seen us eying her enviously as she prepared her husband's catch (we were preparing yet another plate of spaghetti) and had taken pity on us . Although we're still not quite sure what we devoured (something strongly resembling chickens' feet that had a taste similar to mussels) the kindness was touching and we immediately felt at home in Portugal. Neither of us are really beach people. Amaya can't stand the feel of pesky sand between her toes and blaring music, screaming kids and the sight of the lobster-red beer-bellies of Northern Europeans and scantily-clad women of a certain age are things we can easily give a miss. But cycling the coast can be wonderful. The views are often breathtaking and the strong gusts of wind invigorating. Large bands of the coast are eerily desert-like, with the sand encroaching on the towns. Off the beaten path, roads can be rough but the tranquility and beauty of the remoter areas are more than just compensation for the discomfort and extra effort required. Traditions are still strong in the North and the pace of life much less hectic than in the tourist-infested Algarve region south of Lisbon. Small corner shops selling everything from grocery-items to hardware abound, elderly folk gather in the parks to pass the time over a game of chess and women take the time to chat as they do their daily shopping. Kids are curious and always keen to strike up a conversation with strangers. This, however, often proved difficult as our Portuguese is limited to 'Bom Dia' and 'Obrigado'. Fortunately French is fairly wide-spoken throughout the country and our Spanish and French were a great help in understanding the Portuguese, even if not much help in actually speaking the language. The World Heritage Sites of Sintra, perched high up on a hill amongst a sea of pine and eucalyptus trees, and Porto with its labyrinth of narrow lanes and slightly sleazy feel that port towns often have don't disappoint. 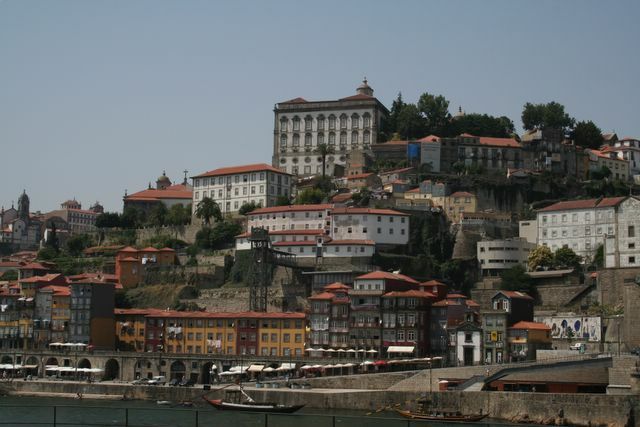 Although we must say a tour of Porto on bicycle is far from ideal. Not only are there uneven cobblestones poking out from the streets, but the endless ups and downs of the city means you spend more time pushing than pedaling. 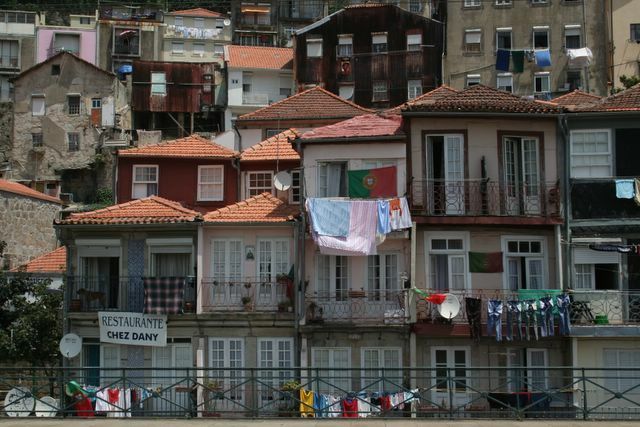 Porto's colorful, narrow buildings seem to be stacked on top of each other, many proudly flying Portuguese flags, sprouting satellite dishes and the freshly washed clothes out to dry in the sea breeze add a touch of color. 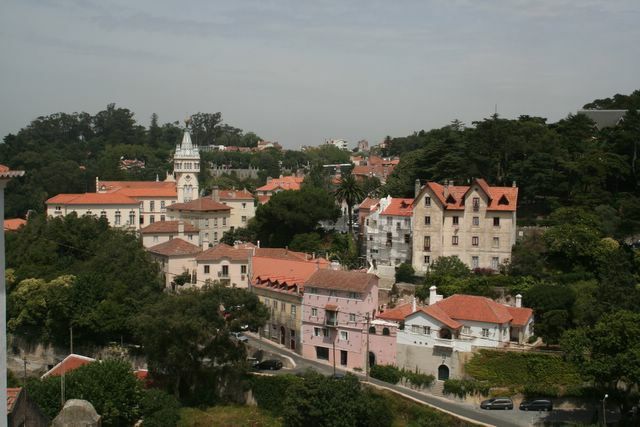 Sintra has a far more genteel air, with its beautiful park, wide boulevards and tree-lined squares. 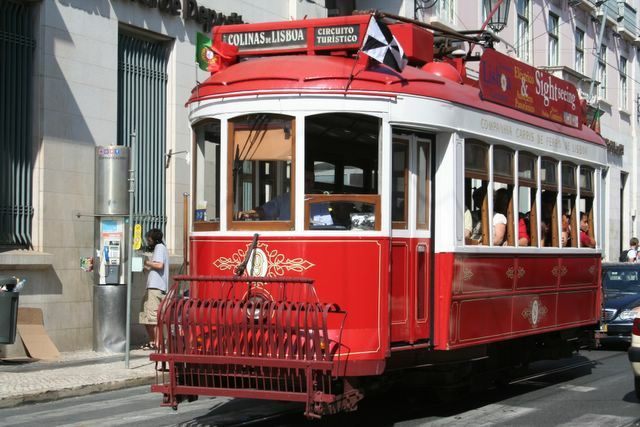 A trip to Portugal wouldn't have been complete without a visit to its capital. 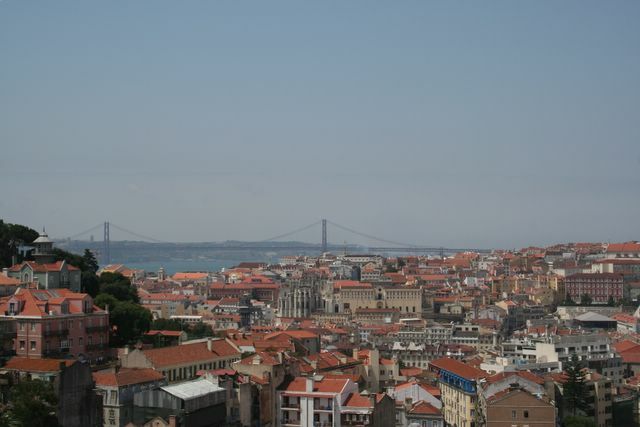 Saying that getting to Lisbon was a nerve-wracking experience would be an understatement. 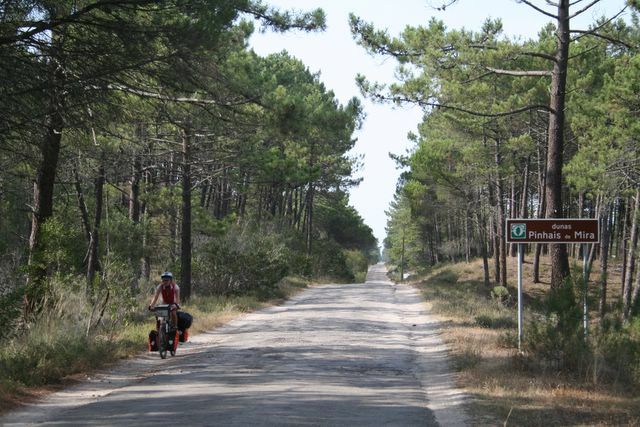 Apart from the motorways (forbidden for cyclists, horses and those on foot) the only road leading to Lisbon was the four-lane coastal expressway with non-stop traffic and kamikaze drivers. Fear makes the adrenalin kick in, and we did the 35 kilometer stretch to the city limits in just under an hour. We let out a sigh of relief a tad to soon, as we quickly realized that the campground, although only a few hundreds meters away, lay on the other side of an intricate network of overpasses and highways, all clearly marked as forbidden to cyclists. Not that we would have considered bringing our lives to an early end by taking on the rush-hour traffic. Hot and tired after a long day of cycling, Amaya shed a few tears by the roadside and briefly considered heading for the airport, but Eric's careful reasoning finally won her over (but what will all of those people who are following our web site think? We haven't even made it to Africa yet!). In the end, we were forced to make a long loop around the city to reach the campground and just as we arrived, the clouds burst and we were treated to a tropical-like storm. Lisbon is a city on the move, with cranes dotting the skyline and new buildings going up all the time. It's also a San Francisco wannabe with its cable cars and replica of the Golden Gate bridge. Heading south out of Lisbon proved to be far less stressful than entering from the north, and by 9AM the morning of our departure, we were on a ferry heading across the river Tejo (you guessed it, the Golden Gate replica is forbidden for cyclists) and on to less heavily populated areas. We entered another national park with an almost deserted highway, lonely beaches and sand dunes on either side of us. 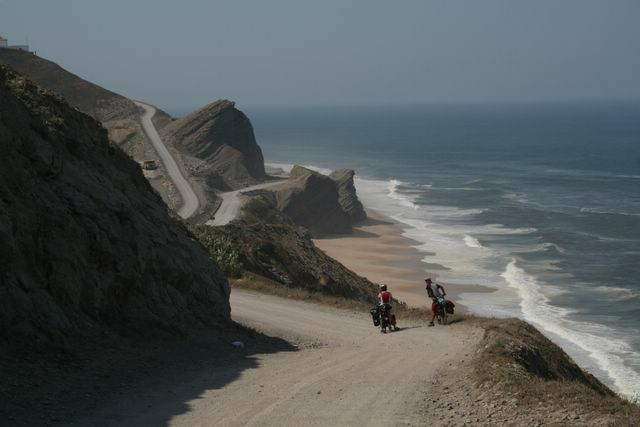 More pleasant and peaceful riding along the coast until we hit the Algarve region, Portugal's answer to Spain's Costa del Sol or France's Côte d'Azur. A couple of hundred kilometers lined with upscale hotels, golf courses, restaurants serving up international cuisine and shops catering to the huge expat-crowd, mostly comprised of Brits wanting to escape their rainy island. Also a popular locale for the backpacker crowd in search of a cheap spot to party and soak up some rays. We felt distinctly out of place at the rubbish-strewn campsite, surrounded by 20-somethings in various states of drunkenness, and after a sleepless night (we hadn't noticed the outdoor disco next door), we broke camp early and headed further south towards Spain. Our first stop back in Spain was the eerie Parque Natural de Donana. 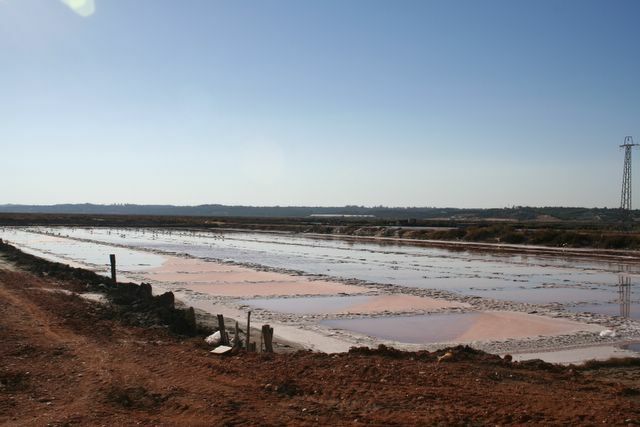 Rich in bird life, lagoons and salt fields the area was a sharp contrast to the frenzy of the Algarve. 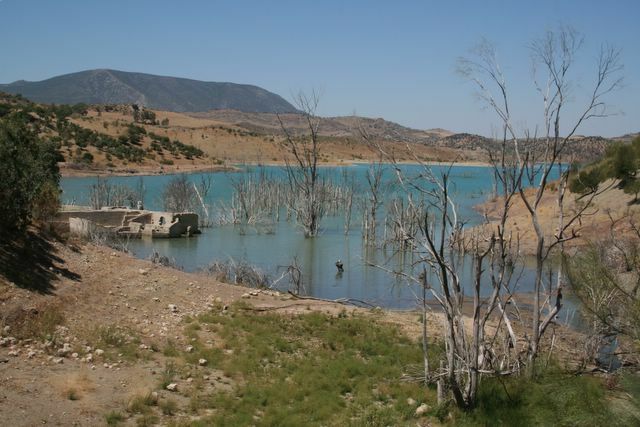 Our route then took us to the hot, dusty and sparsely populated Spanish interior. A long campsite-free stretch meant that we put in our longest day yet, 177 KM, on the ride to Seville. Not much to see along the way, and most of the towns we passed were deserted between 2PM and 5PM as their inhabitants had holed up in their homes to escape the suffocating heat. 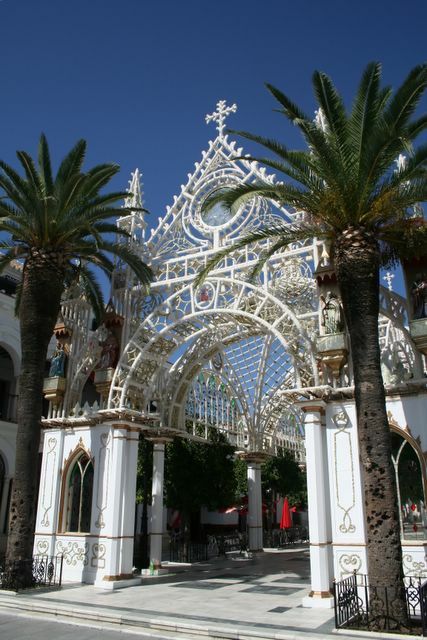 Temperatures in the 40s (100s Fahrenheit) meant our visit to Seville was little more than a series of attempts to get from one shady spot to another as quickly as possible. After a few hours we had to admit that sightseeing in such weather loses its appeal and we enthusiastically headed back to the campground and plunged into the refreshing pool. Wanting to avoid the oppressive heat, we forced ourselves out of our comfortable cocoon before sunrise the next morning and were quickly on the road headed out of Seville. 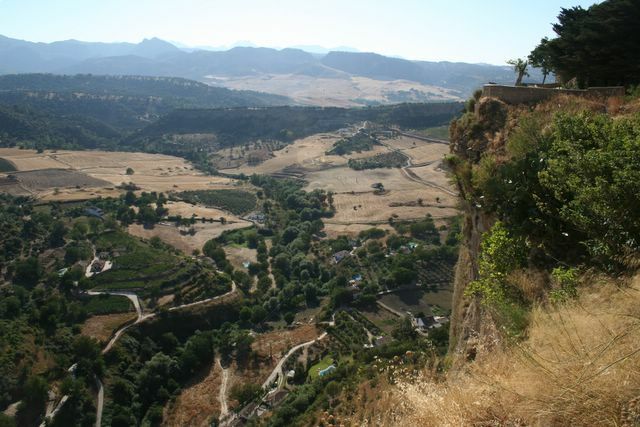 After 144 kilometers of flatlands and wheat fields, which gradually gave way to rolling hills and vineyards and culminated in a steep climb of hairpin curves, we arrived exhausted and thirsty in spectacularly-situated Ronda. The city is built high atop a mountain and is surrounded on all sides by steep cliffs which give away to the fertile valley below and is an amazing place to explore. Having been assured by several individuals that the road out of Ronda was all downhill to the coast, we lounged around the town till noon, expecting an easy day cycling. As you can imagine, the 17 kilometer climb out of Ronda up to Alijar pass came as quite a surprise to us. Thankfully, the scenery was lovely , but we're still asking ourselves how all those people could have been so mistaken about the terrain. Our final stop before hopping on the ferry bound for Africa was Gibraltar and a meal at the Punjab Palace. Now, what could be more British than an Indian curry house? After having filled our stomachs with generous portions of Palak Paneer and Veg Curry ( a nice change from pasta) we took a stroll about town, admired the English architecture and were rebuked by the orderly Bobbies who didn't take kindly to cycling in the pedestrian zone. During the last month we also had the chance to catch up with two former colleagues of Eric's from Eumetsat. Joe and his wife Brid warmly welcomed us at their holiday home south of Nazare on a lovely stretch of the Atlantic coast. We gorged ourselves on delicious Portuguese pastries and fresh fish and enjoyed cooling off in the pool. In Marbella, we stopped off for a visit with Matt and Pino and had a chance to meet new additions to the family, Lance and Andrea. Matt in particular seems to have taken to life on the laid-back Costa del Sol, and it's no wonder with the beach just minutes from their home and the nearby mountains providing endless hiking opportunities. Confusion reigned in Algeciras as we sought to board the ferry for the Spanish enclave of Ceuta. August is holiday month in France and it seemed all of its inhabitants of Moroccan origin had decided to return to the Maghreb to spend their vacation with relatives. The boat was jam-packed and we felt quite conspicuous in our cycling gear. The normally quiet border crossing into Morocco was sheer mayhem, with vehicles backed-up for kilometers and pushing and shoving on all sides. After a two-hour wait, we were awarded the coveted entry stamps and triumphantly cycled down Morocco's Mediterranean coast to discover the land and its people.